SUP & windsurf: Pirates, paddling and powered up sailing – NWF 2016 delivers! So there we have it: another National Watersports Festival weekend full of windsurfing, SUP, kayaking, parties, good times and plenty of ‘ooo aars’. Yep, pirates featured heavily at this year’s event and Saturday suitably went off in fine style. We’ll be honest. The weather wasn’t great for Sat, and late in the day did see some heavy downpours. This didn’t deter the pro fleet who put on a fine display of acrobatics as the dark enveloped the event site though. Hats off should go to the guys ‘n’ gals who did battle on SUPs. Conditions on the water weren’t exactly ideal for paddling but plenty got stuck in. The windsurfing meanwhile was going great guns – especially on Sunday morning when glimpses of sun shone from behind the clouds and a remnant 20+ knots continued to puff across the shingle. Needless to say lots of blasting action was going down. 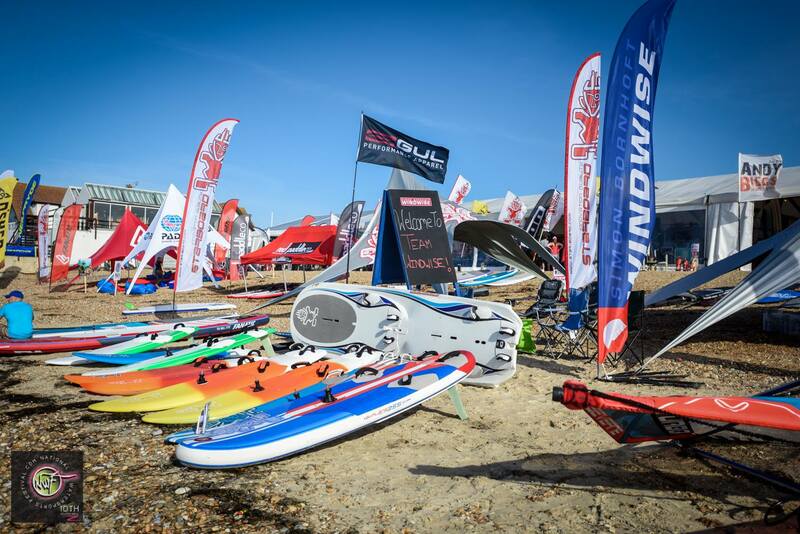 Throughout the weekend the industry marquee was humming as punters eyed up new SUP and windsurfing toys. During every fly by in depth conversations were being spotted about all manner of hydro and aerodynamic topics. And for those who were keen to get out and experience these new toys for themselves there was plenty of demo kit available to try. NWF organiser Allan Cross and his team did another cracking job of bringing together sailors and paddlers – pro and amateur – from near and far. As the curtain closes on the 10th anniversary edition of the National Watersports Festival we can now prepare for autumn, winter and spring and the off season. We’re sure Allan will deliver a post-event wrap up which we’ll broadcast as soon as we hear. For now check out the NWF galleries from official NWF media partners – Globalshots – on the National Watersports Facebook page. Local photographer Mike Owens was also on hand snapping away – you can view his shots here.